Google’s take on the world’s most densely malicious networks over the past 12 months. Couldn’t have happened to a nicer company. Rarely has a Web hosting firm so doggedly cornered the market on so-called “bulletproof hosting” services. These are essentially mini-ISPs that specialize in offering services that are largely immune from takedown requests and pressure from Western law enforcement agencies. If there were a Hall of Infamy for hosting providers, Santrex would be near the top. 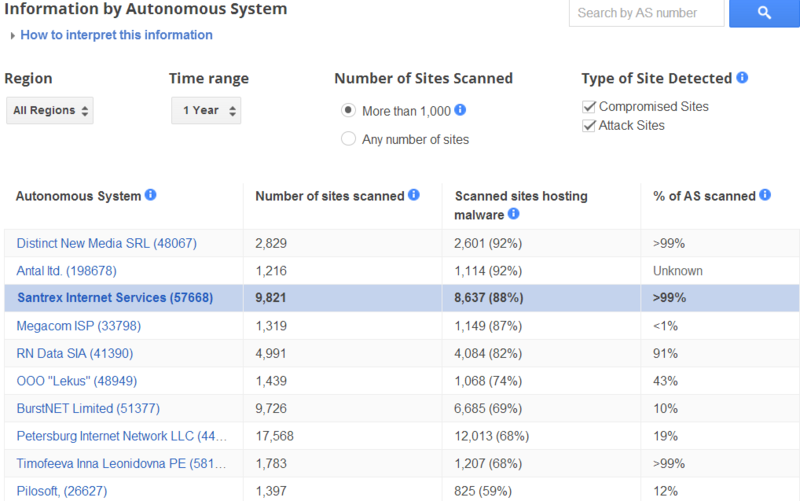 That’s hardly an exaggeration: According to Google — which tracks top malicious hosts via its safebrowsing program — Santrex was among the Internet’s top three most malicious hosts over the past year. 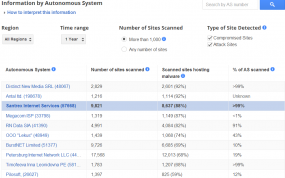 Google’s data indicates that nearly 90 percent of the sites on Santrex’s network tried to foist malicious software on visitors, or hosted malware that was used in attacks against other Web sites. Prior to its demise, it appears that Santrex played one last scam on its customers and the rest of the world. Santrex was founded in the United Kingdom in 2009. According to documents obtained from Companies House, the entity which maintains records on U.K. firms, Santrex was declared insolvent by a U.K. court as far back as April 22 of this year. 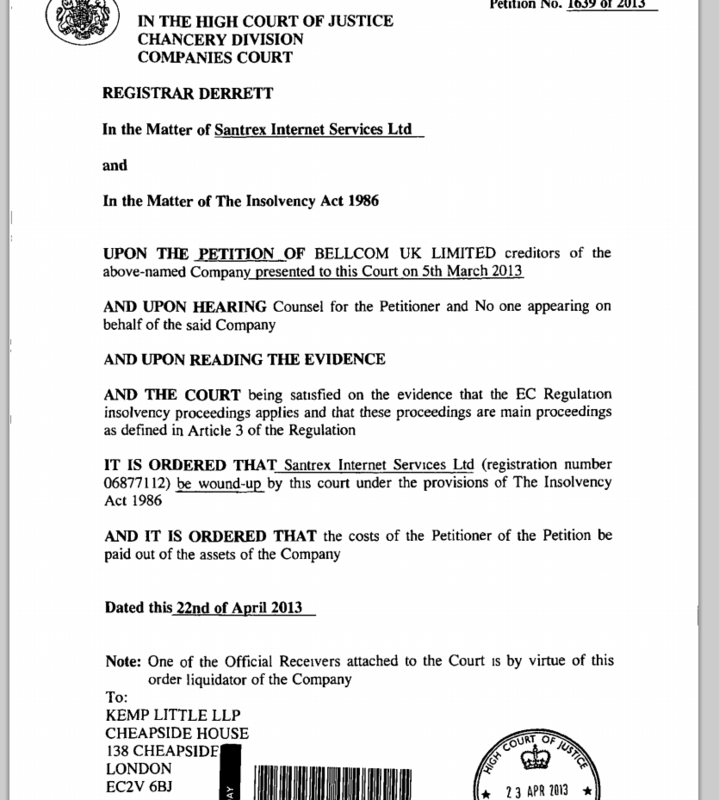 Apparently, the hosting provider neglected to pay its bills to Bellcom UK Ltd., a London-based data center infrastructure provider. The court ordered Santrex’s assets to be liquidated. Perhaps that explains Santrex’s problems with the “internal network issues and recent downtime,” they cited in their emails to customers. Santrex was declared insolvent on Apr. 22, 2013. Source: Companies House. Rest in pieces, Santrex. You will not be missed.